Silver Spook Games is an independent game development studio based in Honolulu, Hawaii. The studio was founded by the talented industry veteran, Christian Miller. 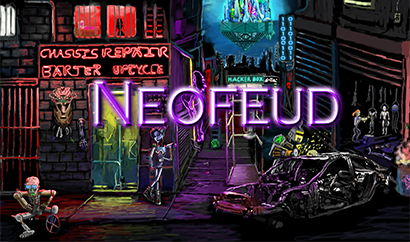 In collaboration with Kiel Bryant and Jean-Luc Campbell, the trio are responsible for successful works such as Terminus Machina, a semi-apocalyptic Deus Ex mod, and Neofeud, a dystopian-cyberpunk adventure game.